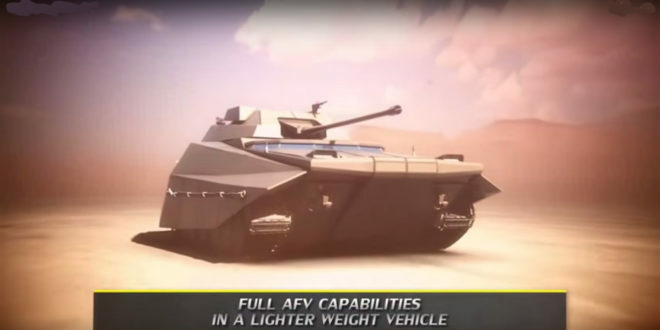 Israeli Carmel Armored Vehicle/Tank, SMASH Electro-Optical Aiming System/Weapons Sight, UAS/UAV/Drone Aircraft, and Unmanned Undersea Vehicles (UUV) All Unveiled by the Israeli Defense Ministry’s Administration for the Development of Weapons (ADW) for Future Warfare Applications! | DefenseReview.com (DR): An online tactical technology and military defense technology magazine with particular focus on the latest and greatest tactical firearms news (tactical gun news), tactical gear news and tactical shooting news. A number of Israeli news agencies, including The Jewish News Service (JNS), The Jerusalem Post, The Times of Israel, and YNET News, recently published articles on the Israeli Defense Ministry’s Administration for the Development of Weapons (ADW) unveiling of “nine new cutting-edge pieces of military technology that will be added to the IDF’s arsenal in the coming years“, one of which is the “lightweight and cost-effective” (and strangely named, from a pronunciation perspective) Carmel armored vehicle, or Carmel tank. The Carmel tank, reportedly slated to either replace the four-decade-old Merkava MBT (Main Battle Tank), or simply augment it (depending on who you believe), is tracked, sports advanced active protection systems, and only requires two men to effectively operate, where the Merkava required four, although the The National Interest has reported that the Carmel tank’s “cockpit” “will have space for a third crewman to operate drones and standoff weapons”. So, that’s a 25%-50% reduction in personnel requirement, a significant achievement, if the Carmel were to prove as capable and effective as the Merkava. Frankly DR doesn’t see how this is possible, based on the mock-ups we’ve seen of the Carmel. For example, it’s cannon is much smaller. Anyway, that’s not all. 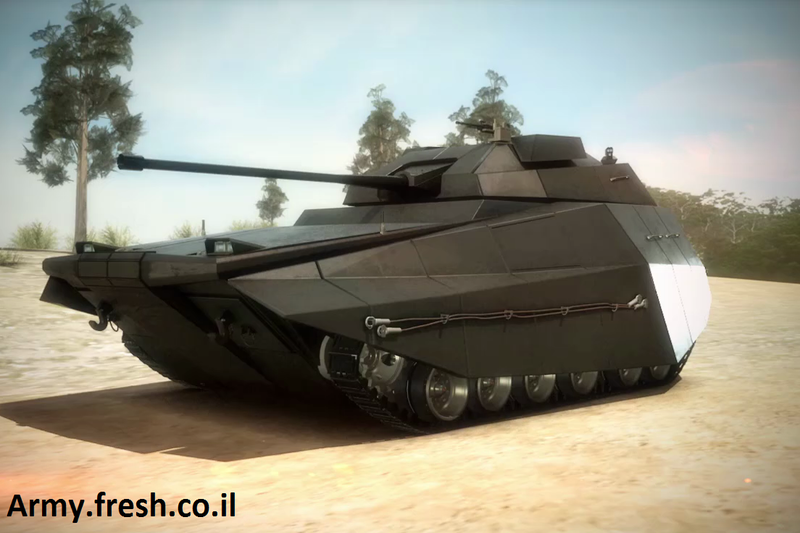 The Carmel tank is a hybrid gas-electric-drive vehicle, which means it should be significantly quieter than the Merkava. No word yet on whether or not it will utilize rubber band tracks to reduce track noise and ground noise. The Carmel is also quite stealthy looking. From the Carmel, the technologies get much smaller, but no less important. The most immediately interesting on paper for DefenseReview (DR) is the new SMASH electro-optical aiming system, allowing warfighters to “lock on to targets with their firearms, avoiding unnecessary civilian casualties”. No word yet on who makes it (Senso-Optics, perhaps? ), but DR is going to guess that the system incorporates a thermal/IR (Infrared) and/or near-IR/night-vision capability for fighting in low-light/no-light conditions–however, we could be wrong. We’ll try to get more info on this one as soon as we can. The ADW also unveiled new UAS/UAV/drone aircraft and UUV’s (Unmanned Undersea Vehicles). One of the new drones integrates a “smart rifle”. Check out the video below on Carmel tank. It’s pretty interesting. Previous: Strike Industries CAT (Center Axis Target) Sight Lo-Pro/Hi-Vis Illuminated Auxilliary Aiming Device for Low-Light/No-Light Gunfighting with Your Pistol at Night!